The real estate industry has been going through a stressful phase for the last couple of years. 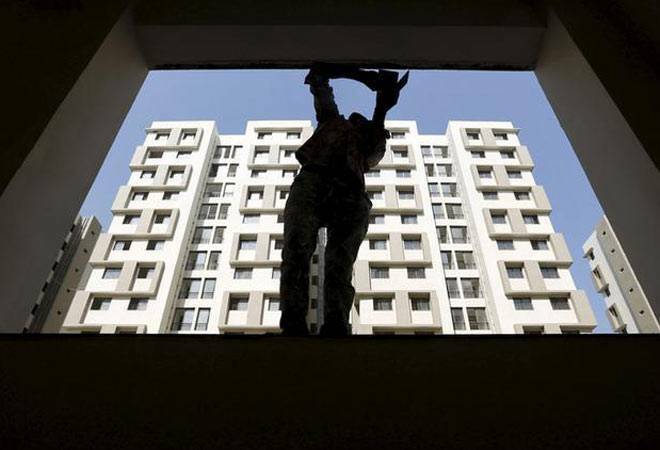 Much focus of late has been on factors such as rigorous compliance regime due to implementation of RERA, sluggish sales due to applicability of goods and services tax (GST) on under-construction projects, and liquidity crunch due to recent NBFC crisis, etc. However, one factor which has gone virtually unnoticed is use of over leverage by the developers. Land: Rightly considered as one of the key raw materials in real estate industry, this is usually the most expensive component in cost of the project. Many developers take debt starting from land acquisition stages itself. For instance, they contribute up to 30% of the land cost and the remaining is provided by an NBFC/PE fund (banks are prohibited by RBI to fund land acquisition), which usually charge anywhere between 16 per cent and 24 per cent per annum. Other mechanism is to enter into a joint development agreement with landowner who takes up 30 per cent of agreed land value upfront and balance in the form of revenue share/profit share from sales proceeds of the project. In places like Noida/Gr. Noida, authority gives land on a long-term lease to the developer. Developers need to be paid 20 per cent prior to registration and possession of land from the authority while the remaining is paid in 16 half-yearly instalments with 11 per cent per annum interest charged on balance cost of land. Construction funding: Post approvals and RERA registration of project, developers will tie up for construction finance of the project. These funds are allowed to be used only for meeting construction-related expenses of the project wherein loan disbursals are linked to construction, sales and collection milestones of the project. The cost of construction finance ranges from 11 per cent to 15 per cent p.a. Marketing & sales schemes: Many residential projects are sold through subvention schemes, wherein pre-EMI is borne by the developers. Buyers opting to buy units in subvention scheme are asked to opt for home loans with aggressive time-linked payment plans wherein developers agree to pay interest on their home loans until possession. Since home loans to retail customers are available at cheap rates (9 per cent-9.5 per cent p.a. ), thus an effective use of leverage by developers through their buyers at very cheap rates. Similarly, the down payment plans with assurance to pay pre-EMI and assured return schemes ranging from 10-11 per cent per annum until possession on commercial projects are of smart leverage by developers, much lower than the rates available for construction finance. Imagine a project, which is geared to the brim with debt at all levels including land, construction and sales. At every level, the financer is trying to make returns that commensurate with the risk they have taken, whereas the developer is also hoping to make profits for all the efforts to deliver this project from scratch. No wonder, even a short-term liquidity crunch in the financial markets such as recent NBFC crisis can wreak havoc on real estate industry. It’s a typical case of financial and operational over leverage by developers, which usually manages to sail through in good markets, but can be devastating in turbulent markets such as the current times. If rates on dwelling units are not appreciating, margins in such projects are squeezed. When sales are sluggish, ability to pass on increase in input costs to home buyers is also negligible. Add high leverage to the mix, the project is bound to be stalled and the incentive to complete the project is diminished. Ideally, there should be no leverage at the land-level. Land acquisition and approvals, etc should be funded through internal accruals/equity. If the developer does not have sufficient funds for land and approvals, new project may not be viable. Only after the project is ready for construction, there should be a tie-up for some debt (~35-40 per cent of construction cost) at reasonable rates. While receivables from sales during construction stages should be sufficient to meet construction expenses, tie-up for external debt ensures that the project does not suffer in case of slow sales or receivables realisation during construction stages. It should be treated merely as a backup and not as a primary source for meeting construction expenditure. Also, initial pre-sales expenses such as sample flat, marketing office, overheads can be met through debt before the sales commence and receivables start trickling in. Once a developer has availed construction finance, sales through subvention and assured return should be strictly avoided. This signals weakness in the project’s fundamentals, which is why sales have to be done through these disguised methods. The developers should be selling dwelling units, not financial products. Profitability of the project is bound to suffer with these financial schemes. To preserve margins, developers may try to increase rates on unsold inventory leading to further slowdown in sales. Leverage is a tool which has the potential to magnify profits or losses of a project depending upon how it is used. Conservative developers who are averse to take high debt are still performing well over optimistic counterparts with high leverage who may now have to start looking for alternatives including gradual exit from the market. Consolidation is bound to happen in favour of developers, with strong balance sheets and sound fundamentals.